Well, well you will not be expecting a voice on this incredible singer. 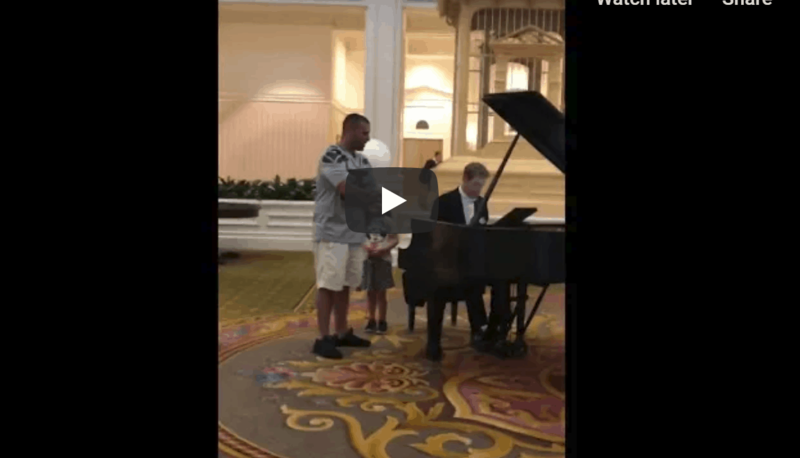 A volunteer firefighter has received worldwide praise after a video of him singing Ave Maria for his daughter at Disney World clocked up hundreds of thousands of views. We started dancing to the music and then when a piece ended she went up to the pianist and said that I play and sing. The pianist asked what piece I like and she said Ave Maria,” Justin, 30, told the Press Association. I never thought something like this was possible. It has gotten so much attention. My daughter is completely ecstatic and we are enjoying every moment. I love the way things are right now. But if anything does happen from this I would love it and embrace every second of it!” he added. Give it a listen and be prepared to be amazed!